Synthetic Fluorphlogopite, Mica, Cetearyl Ethylhexanoate, Hdi/trimethylol Hexyllactone Crosspolymer, Dicalcium Phosphate, Squalane, Glycerin, Parfum (Fragrance), Octyldodecyl Stearoyl Stearate, Caprylyl Glycol, Ethylhexylglycerin, Polysorbate 80, Limonene, 1,2-hexanediol, Dimethicone, Chondrus Crispus Extract, Xanthan Gum, Pentaerythrityl Tetra- Di-t-butyl Hydroxyhydrocinnamate, Tin Oxide, Zinc Stearate, Silica, Lauroyl Lysine, Cetearyl Alcohol, Benzyl Salicylate, Bht, Linalool, Citral, Geraniol, Stearic Acid, Tocopherol, Aqua (Water). [+/-: Ci 15850 (Red 6, Red 7, Red 7 Lake), Ci 15985 (Yellow 6, Yellow 6 Lake), Ci 19140 (Yellow 5, Yellow 5 Lake), Ci 42090 (Blue 1 Lake), Ci 45410 (Red 27, Red 27 Lake, Red 28 Lake), Ci 73360 (Red 30, Red 30 Lake), Ci 77007 (Ultramarines), Ci 77163 (Bismuth Oxychloride), Ci 77288 (Chromium Oxide Greens), Ci 77289 (Chromium Hydroxide Green), Ci 77491, Ci 77492, Ci 77499 (Iron Oxides), Ci 77510 (Ferric Ferrocyanide, Ferric Ammonium Ferrocyanide), Ci 77742 (Manganese Violet), Ci 77891 (Titanium Dioxide)]. 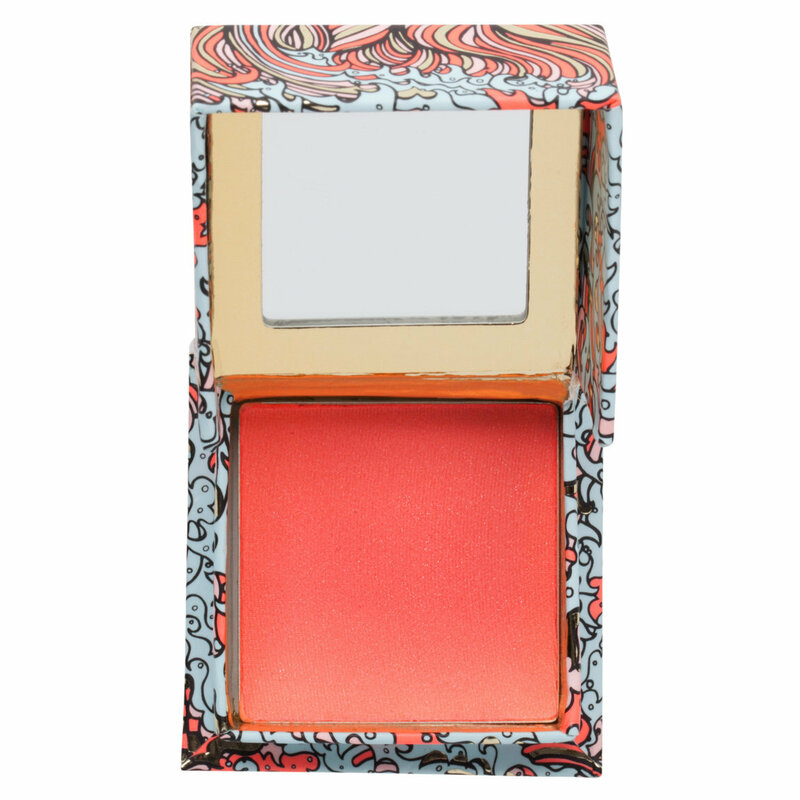 GALifornia blends bright pink with subtle shimmer for a sunkissed glow that complements all skin tones. The embellished gold overspray lifts away with each use. The Signature GALifornia Dreamin’ scent features notes of pink grapefruit & vanilla. It comes complete with a custom rounded blush brush for soft, diffused application. Love the color awesome product, I love all too faced products wish they could come out with more colors.